Winter is here, and the temperatures are dropping. 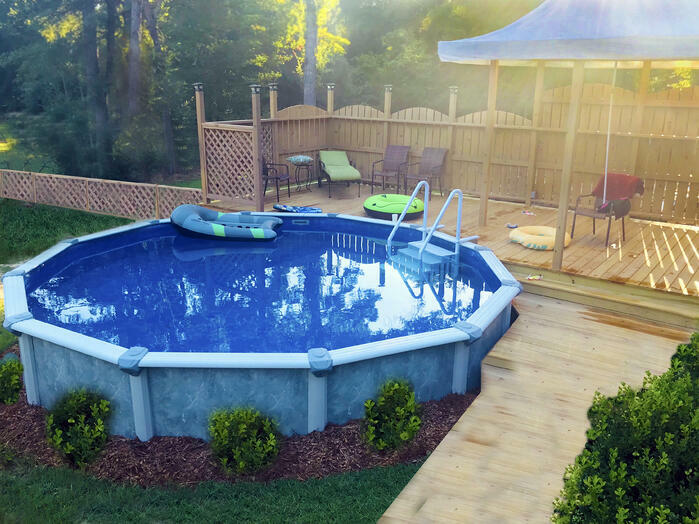 Whether it’s raining in your neck of the woods, or foggy with a hint of “Brrr,” your swimming pool may be covered, uninhabited and forgotten about until next summer. But does it have to be? No way! Swim your way through the winter—all it takes is cranking up a little heat. Here’s the best part: it won’t cost you nearly as much as you think when you follow our handy heat-it-and-forget-it guide! Just because the temperature is dropping outside doesn’t mean you have to forego all swimming activity. In fact, winter can be one of the best times of year to swim-as long as it’s warm enough to be bearable. Solar pool covers are a great and affordable way to insulate your pool without the sky high heating costs you imagine. They are designed to keep the heat in during the night, and insulate it during the day, so you can swim for exercise or leisure throughout the holiday season, and beyond. Royal Swimming Pools offers above ground solar pool blankets which include thermal bubbles—an extremely efficient way to heat your pool during the day, and keep warm at night. Find the right one for your pool, and swim happily, all winter long! Instead of a blanket, think about your heating your pool in the form of a ball—a solar ball, to be exact. 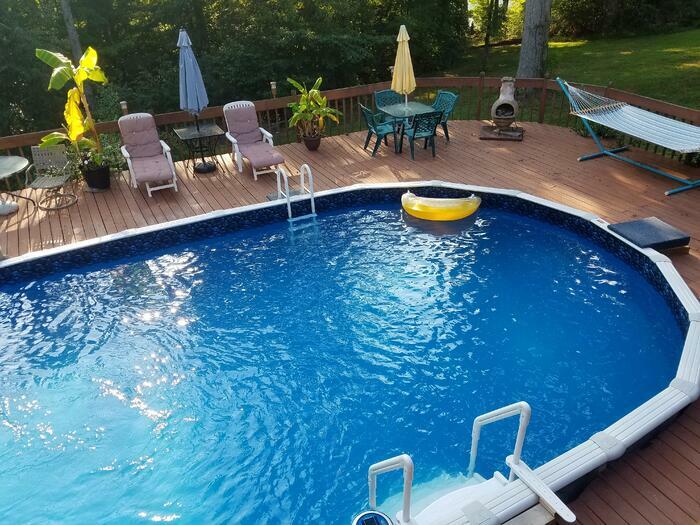 When you purchase a solar ball to heat your pool, you can effortlessly extend the swimming season and swim your laps comfortably all winter long! An affordable option for anyone’s budget, one solar ball will keep up to a 12,000 gallon pool heated for up to 30 days. All you have to do is drop the ball into the skimmer, and it’s highly sophisticated timer will release its non-toxic, biodegradable film into your pool, allowing it to stay warmer for a month’s time. If you live in an area of the country where it’s cold often, and the opportunity to swim (without heating your pool) is short, a gas heater can raise your pool’s temperature by 30 degrees. Heat pumps are another option, and work to effectively gather and compress the warmer air surrounding your pool to heat it. No matter what heating method you choose, you can depend on Royal Swimming Pools to give you all the knowledge and products you need to make the best decision for your pool needs. 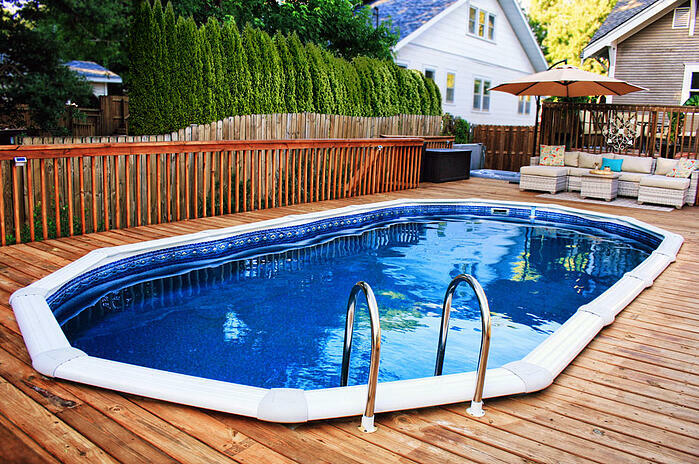 When you heat your pool with one of the above recommendations, you can make summer swimming last all year long!